Where to Stay in Rome: Advice from a local expat and travel writer about the best neighborhoods to stay in Rome, Italy! We created this guide in collaboration with Alexandra Turney, a British expat and travel writer who has been living in Rome, Italy since 2013. Alexandra has served as the local expert for this post by choosing and describing the best areas to stay in Rome. Disclosure: This Where to Stay in Rome Guide contains affiliate links. That means we may earn a small commission when you use the links on this site to book a hotel, buy your travel insurance, etc.. You don’t pay anything extra. If you’d like to learn more about how this works, you can read more under our Disclaimer page. Here’s a quick overview of the main neighbourhoods in Rome, all of which are fairly central. It’s worth noting that as long as you’re based near a metro station (line A or B), you’re not going to find yourself stranded in Rome. For example, I work near Conca d’Oro, the penultimate station on the B line, and it only takes 12 minutes to get to Termini. Termini: The area around the train station has a dodgy reputation, and it’s certainly not the most aesthetically pleasing part of Rome. But it’s very convenient for transport links (getting to other parts of Rome, the airport, and the rest of Italy), and many of Rome’s main attractions are within walking distance. Stay near Termini if you’re in Rome for a night, and need to catch a train the next day, or if you’re okay trading beauty for convenience. Centro Storico: This is postcard-perfect Rome, where you’re never far from the Colosseum, the Trevi Fountain, the Pantheon and the Spanish Steps. Undeniably the most beautiful and historical part of Rome, but be prepared to battle tour groups and pay more for your accommodation. Stay in the Centro Storico if this is a once-in-a-lifetime visit, and you don’t mind dolling out a bit more cash for the Rome you’ve probably dreamed of! Trastevere: Across the Tiber is Trastevere, a picturesque neighbourhood of winding cobbled streets and ivy-covered buildings. Trastevere has lots of character and a buzzing nightlife, and is a short walk from the rest of the city centre. No metro though. Stay in Trastevere if you want a livelier and ever-so-slightly edgier experience, and don’t mind walking everywhere! Monti: A personal favourite, Monti has it all – history, beauty, excellent restaurants, a lively nightlife, and a view of the Colosseum. Stay in Monti if you want to be in an ultra-convenient upscale residential area filled with creative types. Prati: A good base if you plan on spending lots of time at the Vatican. Prati’s wide boulevards and 19th century architecture make it reminiscent of northern European cities, and it feels more relaxing than other parts of Rome. 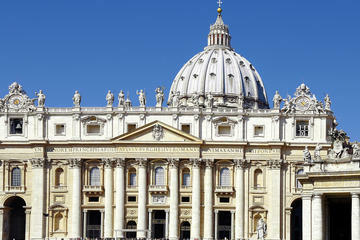 Stay in Prati if you consider the Vatican to be the main attraction, or if you want to be in a quieter residential area. Testaccio: If you’re a diehard foodie, stay in Testaccio. Many of Rome’s best restaurants are here, as well as a famous food market and delicatessen. Romans view Testaccio as one of the last “authentic” neighbourhoods in central Rome, and it’s a good place to stay if you want to experience local life. Monte Testaccio – an artificial hill made of broken Roman pottery – has become the centre of Testaccio’s nightlife. If you want ‘authentic’ Rome and amazing food consider staying in Testaccio. San Giovanni: A pleasant, mainly residential neighbourhood with good transport connections. There’s less in the way of sightseeing, but the Colosseum and centro storico are just a short walk away. Consider San Giovanni if you’re looking for longer-term accomodation in Rome. Pigneto: If you’re looking for a less conventional, less touristy Rome experience, Pigneto could be for you. With lots of bars and clubs, Pigneto is particularly popular with young Romans, but certain parts feel unsafe at night, and I wouldn’t recommend it to a solo female traveller. The main transport link to the centre is a tram to Termini, which takes about 15 minutes. Consider Pigneto if you want an edgy, cool experience. Or stay elsewhere, and head to Pigneto for a night out. and Where to Stay in Milan Guide for neighborhood tips and hotel suggestions! When I was 20, I fell head over heels in love with Rome. I was doing an internship at Keats-Shelley House in Piazza di Spagna, spending my mornings cataloguing books, and my afternoons getting hopelessly, happily lost in the city. For three weeks I shared a dorm room in a hostel near Termini with five other people, enduring the sleep deprivation because I was so happy to be in Rome. In 2013 I packed up my bags, said goodbye to London, and moved to Testaccio, Rome. This laidback, formerly working class neighbourhood on the edge of the city centre has been my home for the past three years, and I can’t imagine living anywhere else. I now work as an English teacher and freelance writer, and in my spare time I write about Rome on my blog, Go Thou to Rome. Compared to other capital cities, Rome is fairly compact. Yes, you can base yourself near Termini (the main train station), but it’s far from the only option. There are lots of cool neighbourhoods that get overlooked by tourists, such as Testaccio and Pigneto, and depending on what you’re looking for, you might enjoy staying slightly outside of the centro storico. From Baroque fountains to colourful street art, Rome’s neighbourhoods have something to offer everyone. Most travellers arrive at Fiumicinio airport. Take the Leonardo Express train for Termini and metro connections, or a regional train if you’re staying in Trastevere or Testaccio. Trains are regular and take 15-30 minutes. If you’re arriving late at night or early in the morning, you may have to get a bus, or a taxi (€45). If you’re travelling with a family, have lots of luggage, or don’t want to worry about it, it may be worth arranging a private airport transfer directly to your hotel. Ciampino airport is about 20 minutes from the centre by train, or 40 minutes by bus, and taxis cost €35. Once you’re at Termini, the rest of the city is within easy reach, either by metro or bus. The bus station is right in front of the train station, in Piazza dei Cinquecento. Buy a ticket (€1.50) from a machine, and once you’re on the bus, don’t forget to validate it using the yellow machine. There are always plenty of white taxis lined up in front of the station. Make sure you get into an official, licensed taxi, and not a random car! Termini is Rome’s central station, which you’re bound to pass through at some point. The surrounding streets are full of hostels and cheap hotels, so it can make a convenient base. Pretty much every bus, metro, tram and intercity train ends up at Termini. From Termini, it’s just a short walk to neighbourhoods like Monti, and you’re not far from the centro storico. The streets near Piazza Vittorio Emanuele are lively and cosmopolitan, but a bit grungy. The area near Piazza Indipendenza, on the other side of Termini, is quieter and less chaotic. This was where I stayed for three weeks during my work experience, and I’d recommend it. If you choose to stay near Termini, try to find a hotel a few streets away. You don’t really want the train station on your doorstep. Avoid accommodation far down the wrong end of Via Giolitti too. And take care if you’re on your own near the station late at night. Hotel Morgana – A 5 minute walk to the central train station so great access to the metro and airport transfers. The Colosseum is just to metro stops away. Or, you can walk to many of Rome’s attractions in about 30min or less. A quirky mixture of classic and modern decor. A daily buffet breakfast, complimentary water and soft drinks in the rooms. Reviewer tip: ask for a room facing the courtyard. Gioberti Art Hotel – A super modern option across from Termeni station, on a corner and very easy to find. A great daily breakfast to help you get on your way – you’re a 15 minute walk from the Colosseum! Past guests really liked the level of service and cleanliness, decent wifi and room size. UNA Hotel Roma – This hotel has an on-site restaurant that is sensitive to special dietary needs, such as boxed gluten free items. Tasteful, comfortable rooms with wood floors and air conditioning. Some reviewers commented that the wifi is not good, so consider that before booking. Hotel Marcantonio – If you’re looking for a well located budget option, this seems like a decent choice if you’re happy trading a few conveniences for saving some extra cash. Small and basic, but clean and friendly, located on the 5th floor but there is an elevator and 24 hour reception. A simple breakfast is served to your room in the mornings. Hotel Tito – A brand spanking new hotel very close to Termeni. If new-ness is your thing, you could be a trailblazer by testing this hotel out. Comfortable beds, very clean, decent showers and memory foam pillows. There are no reviews on Trip Advisor yet but there are some on booking.com. Hotel Artemide – A very well liked hotel, seven or eight minute walk from the train station, closer to the attractions and further from the seediness of the train station. The hotel has a spa complete with a Turkish bath, a cozy lounge with big leather arm chairs and a rooftop bar with a view. Rooms include a tea/coffee maker and complimentary minibar. The Britannia Hotel – On a quiet street away from the hustle and bustle of the train station but still close enough to walk, about 10 minutes or so. A daily plentiful breakfast with hot and cold options, and a complimentary minibar in the rooms. Past guests mention large comfortable beds and good showers, it’s close to the metro, but most central attractions like the Colosseum, Trevi Fountain and the Pantheon are about a 20 minute walk or less. Hotel Gea Di Vulcano – Slightly removed from the train station but reachable in about 12 minutes walking, and off the main street so a bit quieter. A fridge, tea and coffee making facilities in the room, decent breakfast, comfortable beds and air conditioning. A 20 minute walk to the Colosseum, but there is a metro close by and many buses as well. For first-time tourists, the centro storico is ideal. It’s great being able to walk everywhere, without having to rely on public transport. Being immersed in the beauty and history of Rome is a magical experience – looking out of your hotel window to see a Baroque church, or the upper tiers of the Colosseum. Another advantage is safety, as there are no “no go” areas in the historic centre of Rome. Accommodation tends to be more expensive in the centro storico. Depending on where you’re staying, you may also get sick of large tour groups clogging up the streets. If I were looking for a hotel in the centro storico, I’d avoid anywhere too close to a major attraction (such as the Trevi Fountain or Pantheon), and look for a place in the back streets – near Campo de’ Fiori or Piazza Navona, but not too near. Boutique Hotel Campo de’ Fiori – A unique, designer hotel with a terrace overlooking the heart of Rome. Air-conditioned rooms with modern bathrooms, upgraded soundproofing (but this is a busy area), and a daily breakfast. Many guests say the terrace was the highlight of their trip. Campo de Fiori was a favourite area for us, we spent many evenings here for a drink in the square. Hotel Lunetta – Located just steps from Piazza Navona, one of Rome’s most beautiful and romantic squares, as well as being very close to Campo de Fiori. Very modern and very comfortable rooms with air conditioning, daily breakfast, and a steam room to relax in after a day of sight seeing. It also has a rooftop terrace to enjoy splendid views of the city’s beautiful buildings. Hotel Indigo Rome – St. George – Modernized hotel with a seasonal (summer) terrace and a small gym, located on historic Via Giulia. Rooms are well equipped including a charging station, ETRO toiletries, coffee/tea, and the hotel even provides free use of a smart phone during your stay with unlimited internet connection. Hotel 900 Liberty – A decent budget option in the center. A 10 minute walk to both Campo de Fiori and Piazza Navona and many other attractions. Updated modern rooms and bathrooms in a 19th century building. This hotel is all about location, clean with basic amenities. Navona Theatre Hotel – Just steps to Piazza Navona, this cool designer hotel has a buffet breakfast complete with homemade pastries and an omelette option, which comes recommended. Comfortable beds, modern walk-in showers and air conditioning. Past guests say the staff are very attentive and accommodating and the location is wonderful. Hotel Monte Cenci – A very well liked, stylish hotel that’s quite new. Besides tasteful, cozy rooms with great bathrooms, the hotel offers Handy phone service, a smart phone with unlimited data available for use during your stay to help you navigate around the city. Enjoy the sun on the rooftop terrace, you explore most of Rome’s most famous attractions within a 20 minute walk. Hotel Mancino 12 – Set on a quieter street but just a 5 minute walk to Trevi Fountain and many other attractions. Just steps to Piazza Venezia and the Altare della Patria. Modern decor, modern rooms, comfortable beds and good showers which is exactly what you’ll need after sight seeing in Rome. Past guests have commented that the hotel is quiet, which is important in central Rome. Hotel Caravita – A small 10 room design hotel offers a daily continental breakfast and a sauna. Clean, comfortable and modern rooms, one of which even has a jacuzzi. About an equal 5-6 minute walk to Pantheon and the Trevi Fountain, and about 20 minutes walk to the Colosseum. Hotel Raphael – Relais & Châteaux – Located just one street from the idyllic Piazza Navona with its intricately carved marble fountains and lined with restaurants, perfect for that classic Rome experience. Enjoy exquisite views from the rooftop terrace along with organic selections from the hotel restaurant. Many attractions are within 5-10 minutes walking. Cross the river and you’re in Trastevere, one of Rome’s loveliest, most atmospheric neighbourhoods. Think uneven cobblestones, elegantly decaying palazzi, ivy, and the smell of freshly-baked bread. Trastevere is perfect for anyone wanting to experience Roman nightlife, as there’s a great selection of bars and restaurants. Enjoy aperitivo at Freni e Frizioni, and then head to the pizzeria Ivo a Trastevere for a delicious thin and crispy pizza, Roman style. The problem with being so lovely is that Trastevere has been well and truly discovered by tourists. At certain times of day, in certain streets, it seems that there are more Americans than Italians in Trastevere. But the main disadvantage – depending on what you want to do, of course – is the lack of metro. It means you’ll have to walk everywhere, or rely on Rome’s notoriously unreliable buses. Residenza San Calisto – A small hotel in a renovated 18the century building very close to the main Piazza di Santa Maria in Trastevere. Past guests say the rooms were of a decent size and good showers and good breakfast. Reviewer tip: hotel has a sister property, also listed here, but if you prefer this property make sure your request is clear, otherwise they may place you there based on availability. Casa Mia In Trastevere – A decent affordable option in Trastevere with an on-site restaurant and very close to the main square Piazza di Santa Maria. Close to trams to take you anywhere you need to go, otherwise a pleasant walk of about 15-20 minutes will get you to Trevi Fountain and the Pantheon. Clean and modern rooms with great beds, a kettle and a safe. Hotel Santa Maria – With a beautiful courtyard of colorful flowers and orange trees, a bar on site but close to many others, it gets top marks for location and service. This seems to be a sister property to Residenza Santa Maria, close by and also very well liked, but some reviewers suggest to specify if you want this hotel, as bookings may be shuffled depending on availability. If you’re planning a trip to Rome, be sure to check out our Best Tips for Visiting Rome. We’ve also written about our experiences exploring Rome with Context Travel, including visiting Ostia Antica with an Archaeologist, exploring Centro Storico with an Architect, and visiting some of Rome’s hidden secrets with a medievalist. The area north of the Colosseum (and east of Via Nazionale) is known as Monti. It’s a bit like a more peaceful, less touristy version of Trastevere, with plenty of historic charm, and bars and restaurants in abundance. It’s also well-situated for sightseeing, as it’s walking distance from most of the main sights in the city, and right next to a metro station (Cavour). I’d recommend Monti to anyone, as there are no real disadvantages to staying here. If you can find a good deal on accommodation, snap it up, and spend your Roman holiday drinking with locals on the steps of the fountain in the piazzetta, and indulging in carbonara at La Carbonara. As for sightseeing, the Colosseum is literally just round the corner. Monti Palace Hotel – A small, clean and comfortable hotel conveniently across from a metro station. 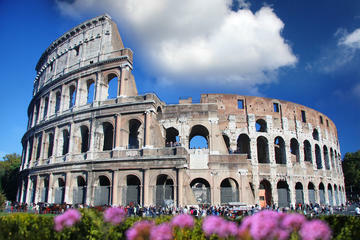 The hotel offers a daily buffet breakfast and is walking distance to many attractions such as the Colosseum and the Forum. A bar on-site and past reviewers have commented on the warm and friendly service as well as being child friendly for family travellers. Hotel Centro Cavour – Basic but very clean and conveniently close to a metro station, one stop from Termeni. A 10 minute walk to the Colosseum and many other sites. Triple and quad rooms available if you’re with a group or family. Past guests have given thumbs up to the value for the money given the location, but definitely a ‘no frills’ option. Nerva Boutique Hotel – Small, cute, modern rooms in a tidy little boutique hotel with the Colosseum and Roman Forum practically on the doorstep. Air conditioned rooms with comfortable beds and modern bathroom and shower facilities, and a daily continental breakfast. There is a bar on-site and 24 hour reception, and the hotel is close to the metro. The Inn At The Roman Forum – As Rome is a living archeology site, this hotel is no exception and actually has ancient ruins on site. But, you will find exquisite, clean and modern rooms, a breakfast buffet on the rooftop with classic views of Rome. A block from the Colosseum and the Forum, and the metro is right down the street. The Fifteen Keys Hotel – A very popular and well liked cosmopolitan hotel in the center of everything. A twenty minute walk or less will get you to the Colosseum, Trevi Fountain, Spanish Steps, or the metro stop is just a few minutes away. Modern design, comfortable, clean, great breakfast and designer toiletries await. Prati is the neighbourhood next to the Vatican, served by metro stations Ottaviano and Lepanto. Once you get away from the tourist hordes near St Peter’s, it’s a peaceful, attractive neighbourhood, with long, wide, tree-lined streets that seem to belong to another city. Although it’s not as lively as other parts of Rome, there’s still a decent selection of restaurants and bars, and shoppers will be satisfied with a stroll up Via Cola di Rienzo. Prati is pleasant and well-connected. My personal prejudice is that it just feels “less Roman” than other parts of Rome, and perhaps less interesting. But although it’s not one of my favourite neighbourhoods, I think it would make a good base for exploring Rome. Le Finestre Di Luz B&B – A personal recommendation! We stayed here for 10 days in summer 2016, the owner, Fabrizio, is amazing and very welcoming. This is a small B&B style hotel which is through a courtyard away from the street, so it’s very quiet. Fabrizio makes breakfast and coffee fresh every morning and each room has its own table on the small patio to eat at. All rooms have comfortable beds and private bathrooms. Hotel Della Conciliazione – Can’t get much closer to the Vatican than this. The classically decorated hotel offers a breakfast buffet, and the air conditioned rooms are adorned with handmade furniture and modern bathrooms. The hotel is a 10 minute walk from the metro, and just a few minutes from the airport express bus. Domus Terenzio – A small and very well rated hotel a few minutes walk from the Vatican, and also Castel Sant’Angelo, a metro station is also close by. Modern rooms with modern walk-in showers, a daily breakfast, and past guests have commented on the great air-con (welcome if visiting in the summer), and about the the owner being a wonderful host, and very helpful and welcoming. Disclaimer: as a resident of Testaccio, I’m biased. But I love it, and I think it’s the ideal neighbourhood for a tourist who wants to experience a more authentic side of Rome, while still staying close to the centre. In fact, Testaccio is really central. The Colosseum is two metro stops away, or a 20 minute walk. Trastevere is just over the river. The leafy Aventine Hill is across the road. But Testaccio is also worth exploring in its own right, and is slowly being discovered by tourists, as you’ll see from the small tour groups sampling cheese and prosciutto at the famous delicatessen Volpetti. Testaccio’s main selling point is its food, as the home of a traditional food market and some of the best restaurants and pizzerias in Rome (Da Felice, Flavio al Velavevodetto, Da Remo). After you’ve done some sightseeing in the centre, pop back to Testaccio for an indulgent aperitivo at L’Oasi della Birra or a bowl of cacio e pepe pasta at Da Felice. 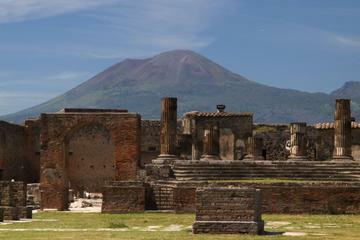 Then you can hit the clubs at Monte Testaccio, or watch the world go by in the piazza. Compared to other parts of Rome, there aren’t many hotels in Testaccio. If you’re interested in staying in Testaccio, we’d suggest checking out HomeAway, VRBO, and – of course – Airbnb to find a holiday apartment. The Basilica of San Giovanni in Laterano is the second most important church in Rome, and the neighbourhood’s not bad either. It’s mainly residential, and could be a good place to stay if you’re looking for longer-term accommodation. Living next-door to a supermarket may be less glamorous than living next to a Roman ruin, but from a practical point of view, San Giovanni is very convenient. The area around Re di Roma is similar, and also well-connected (metro line A). You have a better chance of finding good value hotels or Airbnbs in San Giovanni/Re di Roma, and although it’s not right in the centre, it’s still central Rome, so definitely worth considering. As with Testaccio, you may have the most luck checking out HomeAway, VRBO, and – of course – Airbnb to find a short-stay, rather than a hotel. Best Western CineMusic Hotel – Not your typical Best Western. The decor is movie and music inspired and has a rooftop terrace where a daily breakfast is served. Rooms are what you’d expect from BW, clean and modern but basic and quiet. If you’re happy to walk, past guests say about 30 minutes to the Colosseum, but the convenience here is two metro stations is close proximity. Hotel Re Di Roma – Located on a quiet street, away from the madness or Rome but still easily reachable by metro. There a few stops very close to the hotel. Complimentary continental breakfast served, clean and basic but modern rooms. Past guests say they enjoyed the laid back residential area with a few local bars around with reasonable prices. Pigneto has become increasingly trendy in recent years, but hasn’t really been discovered by tourists yet. If you choose to stay there now, you’ll probably find a bargain on Airbnb and be one of the only tourists in the neighbourhood. There are lots of good (and good value) bars and restaurants in Pigneto, as well as live music venues and arty cinemas. For cheap, authentic Roman nightlife, it can’t really be beaten. There’s also something refreshing about how different it feels to the rest of the city centre, with two-storey buildings (rather than towering palazzi) and a more low-key, residential feel. However, as much as I enjoy my nights out in Pigneto, I’m not sure I’d recommend it as a place to stay – especially not for the first-time visitor. Even though geographically, it’s not far from the centre, getting the tram to and from Termini is not a pleasant experience. And while some people exaggerate the dangers of Pigneto, you’re certainly much more likely to be cat-called/offered drugs/have your bag snatched in Pigneto than you are in Prati. If you’ve been to Rome several times before and want a new experience, you could try Pigneto, but it’s not the best place to look for accommodation. My advice would be to stay elsewhere, and to come to Pigneto for a night out with some local friends. So Where Should You Stay in Rome? Stay near Termini if you’re only in Rome for a day or two (note: you can’t possibly do justice to Rome in two days) for the convenience of the transport connections. If it’s your first time in Rome and you want to do lots of sightseeing, stay in the centro storico. My personal recommendation to friends or family would be to stay in one of my favourite neighbourhoods – Monti, Trastevere or Testaccio – so you get to experience a bit of local life and get away from the tour groups. Thank you for this amazing neighborhood guide! This has been so helpful in planning our trip to Rome and deciding where to stay with a toddler. PS – You had me at foodie with Testaccio! Sold!